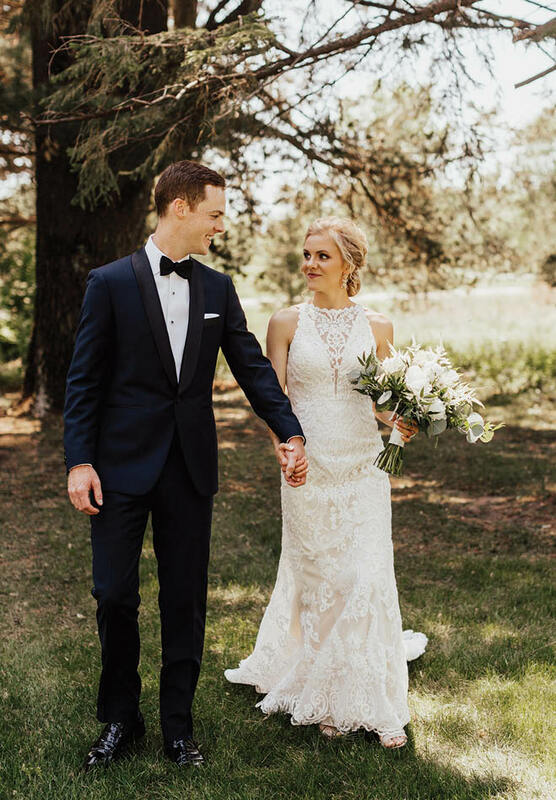 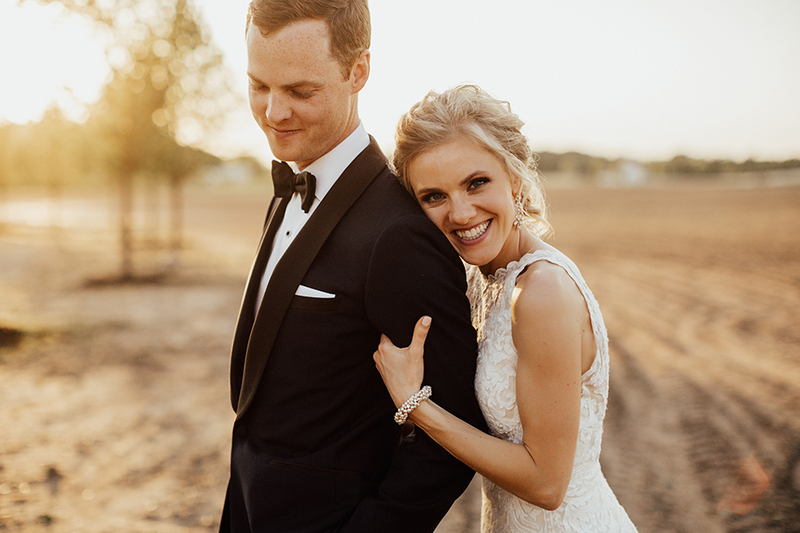 Allie Nelson and Ben Ryalls met in their freshman year of college in Colorado and got engaged at the top of Vail Mountain, but they knew they wanted to wed in Minnesota, where Allie is from. 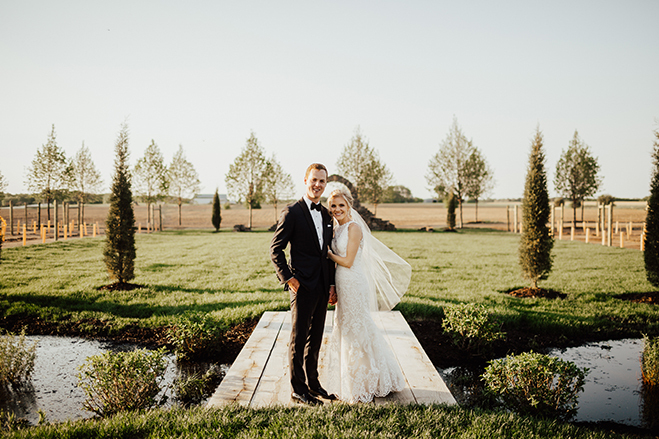 They chose Redeemed Farm for its stunning setting, warmth and character. 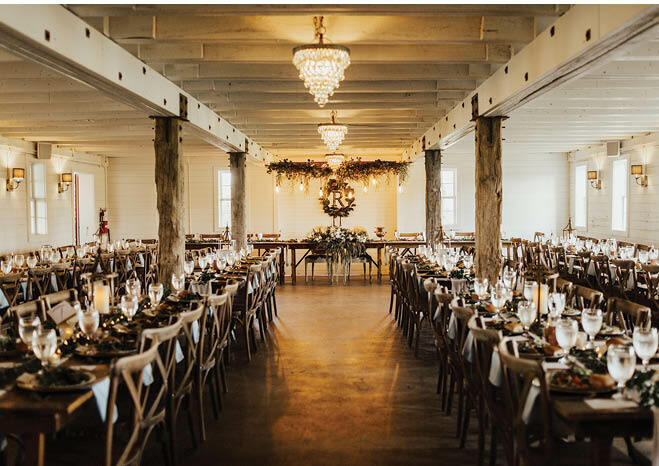 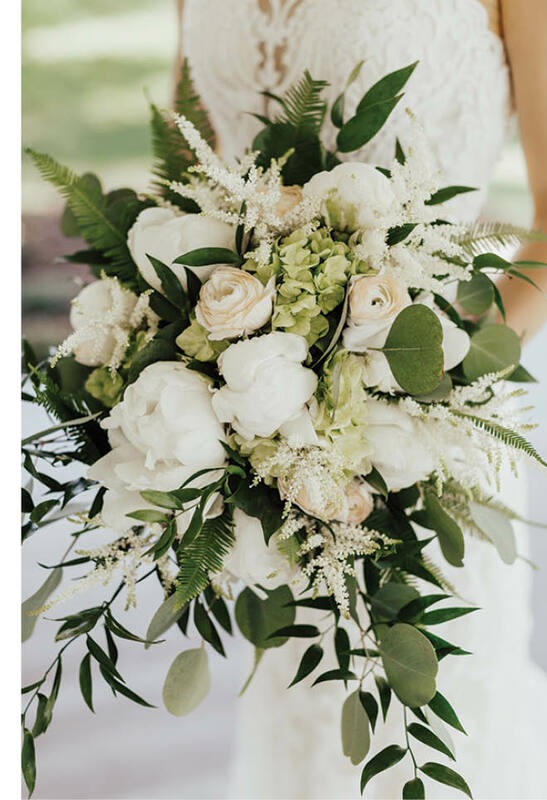 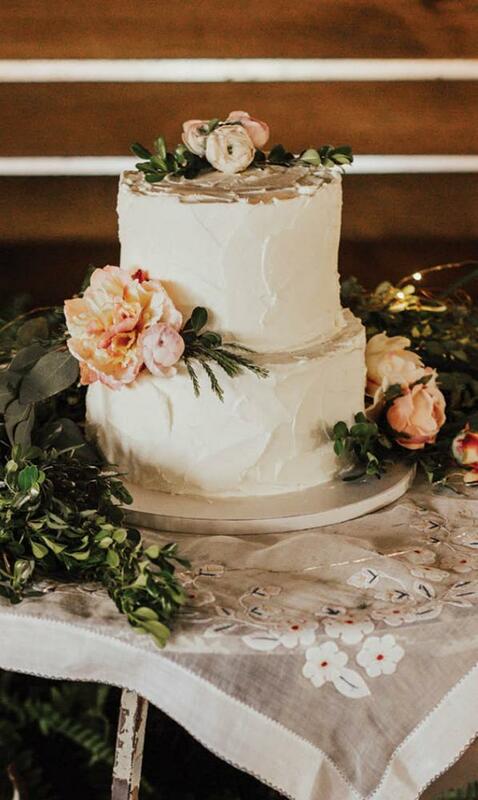 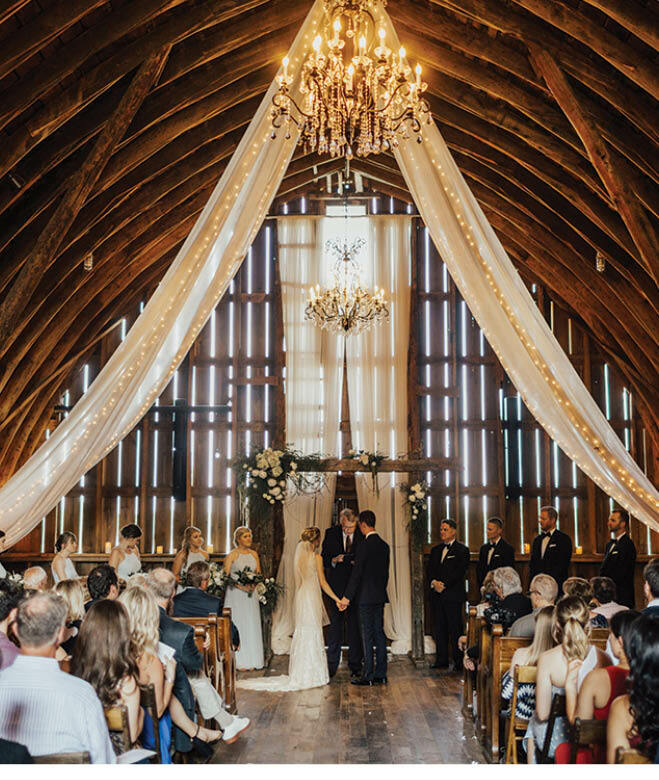 “It is the most beautiful wedding venue,” Allie says, “a perfect blend of Midwest hometown feel and natural elegance, and there are so many stunning places for photography.” Since the property and its structures were already picture-perfect, they kept the décor simple and elegant. 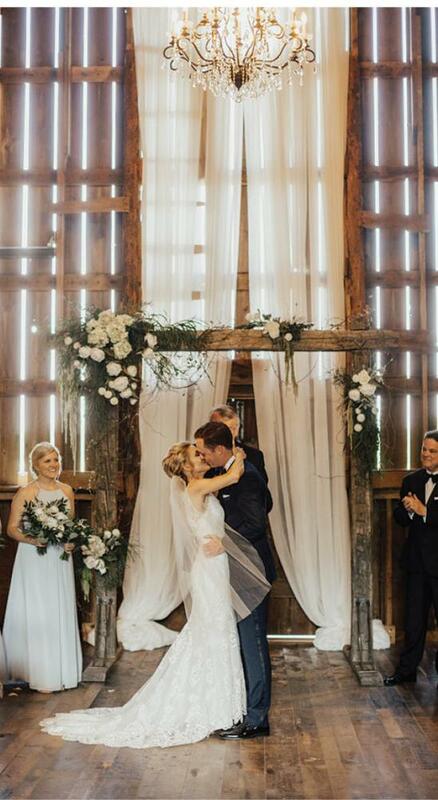 As for the couple’s wedding-day highlights, Ben says his was seeing his bride for the first time on the front porch of the white farmhouse, while Allie’s favorite moment was standing at the top of the grand staircase with her parents, looking down the aisle toward her soon-to-be husband.